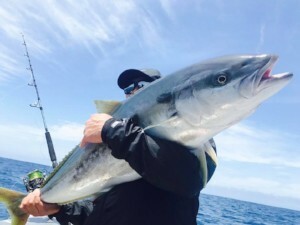 New Zealand fishing charters as it should be. Commentary from our expert Skippers. 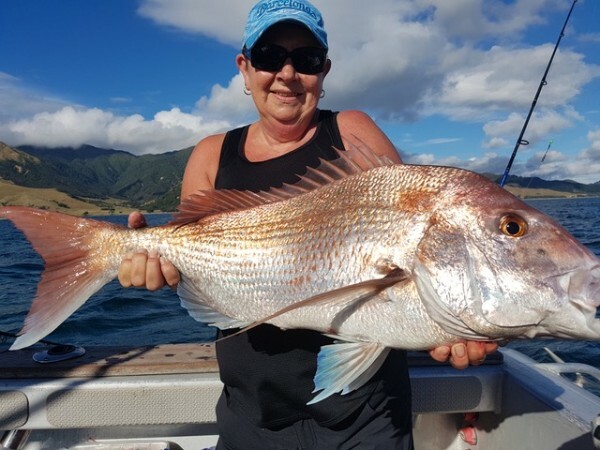 Monthly reports are based on the months fishing activity from across the Coromandel (Whitianga and Amodeo Bay) and The Bay of Islands (Russell/ Paihia). 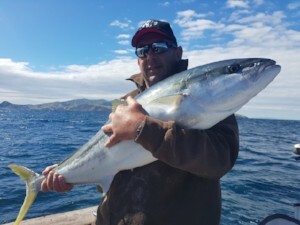 Skipper of the RH770 Senator, providing kingfish charters out of Whitianga in the Coromandel. 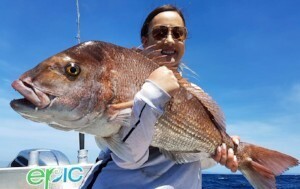 Call 0800 EPIC NZ or +64 21 886 223 today and ask to fish on KAOS. 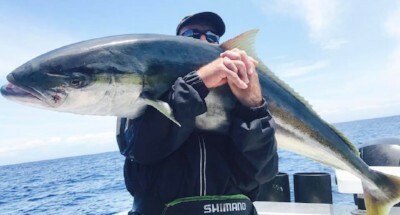 Well it has been a good run on the kingfish front there has been no trouble finding fish as they have seemed to be everywhere, with some real nice ones thrown in here and there. As per usual this time of the year the bait is pretty easy pickings with plenty of kings around them as well. 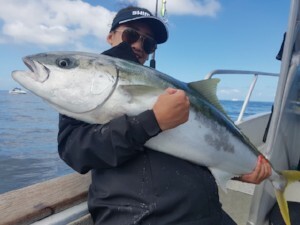 The new set up of Jigstar rods (battle royale and twisted sister) and maxel reels have been proving very popular and are handling the big hard charging Coromandel kingfish with ease. As for Whitianga and me it was farewell to the vessel Coroking, what has recently been replaced with the Senator RH770 named “KAOS” a bigger boat decked out with the best electrics from SIMRAD and also the latest gear from Maxwell reels and Jigstar rods and all I can say is that fishing has just got that much easier with the SIMRAD NSS Evo3 finding the fish so easy. The silky smooth drags on the Maxel reels and the Jigstar rods soaking up all those knocks and bumps. 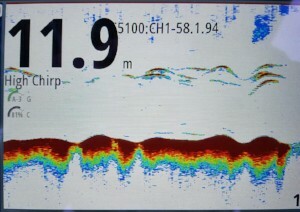 With all this combined we are going to see more big fish landed. So as we look into the next month we should see more of the same trends carrying on with some pretty unreal fishing. 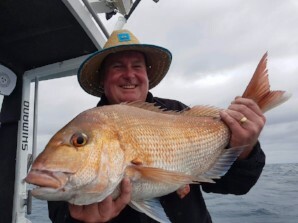 Skipper of another Senator 770 , providing New Zealand fishing charters out of Whitianga in the Coromandel. 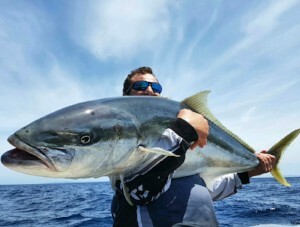 Call 0800 EPIC NZ or +64 21 886 223 today and ask to fish on EPIC. Well it’s been an awesome start to summer ! 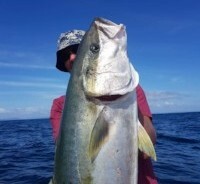 Bait as easy as can be along with plenty of healthy kings amongst. 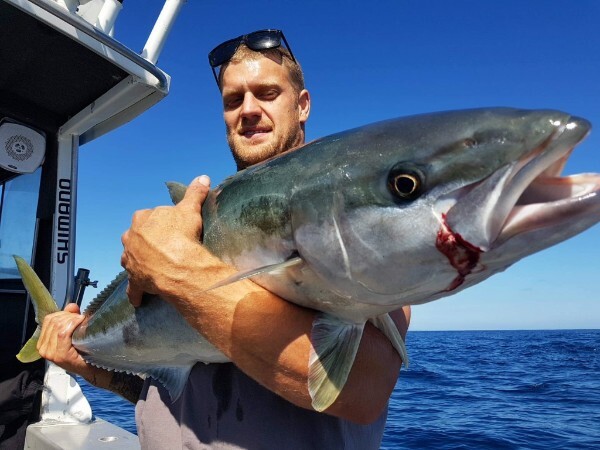 Cuvier has been the pick for December, with most pinnacles holding reasonable kingfish up into the 20kg+ bracket, along with the respectable snapper. Fishing doesn’t look to be slowing down any time soon, and with the weather starting to settle, I’m looking forward to what the rest of summer has to offer! 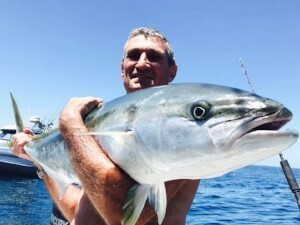 Skipper of a purpose built Bluefin 665 and providing fishing charters out of Whitianga in the Coromandel. With the water warming up and some great weather being had the fishing has been hot! 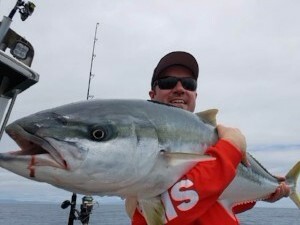 The bait has been thick in the bay with the kingfish coming into the schools and smashing the sabikis to bits! 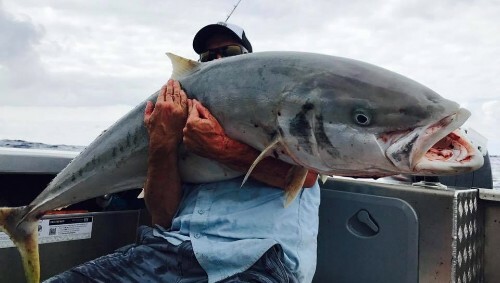 There is some consistent fishing out wide with the odd big fella in the mix. The snapper are on the chew as well coming up off the bottom to get a taste for the good old livies giving a good mixed bag for the customers. Lets hope it only gets even better from here!! Skipper of Anglers Lodge II, A steady, offshore 7.5 Aluminium monohull. 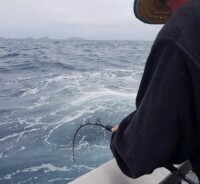 Providing fishing charters out of Amodeo Bay in the Coromandel. The fishing in the gulf has just been firing in December and January, we have warmer waters and more baitfish then I’ve ever seen. 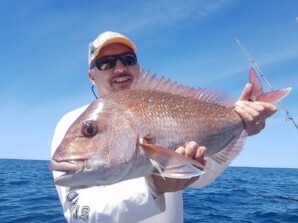 Big snapper are just smashing our livebaits and big dead baits, like jackmacks and blue slimys. We have fished out wide in the 35m-40m mark and filling bins with ease. This year flasher rigs have dominated the straylines. As for the kings, I think its been one of the best years here at Anglers Lodge as we are loading the rods up where ever we go, from the close islands to channel island also out wide in the 40m. So don’t be shy give us a call and we will make a day of it. 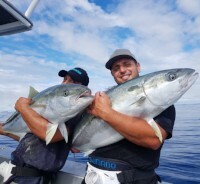 Koroking a purpose built Senator 690, providing Bay of Islands fishing charters and based in Russell. 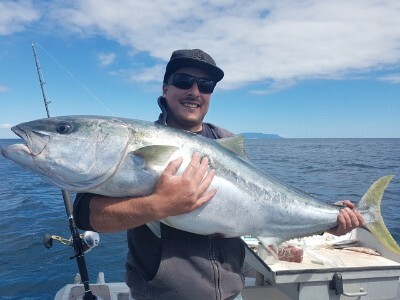 Call 0800 EPIC NZ or +64 21 886 223 today and ask to fish on KOROKING. Our Coroking boat has made the move North and has been renamed KoroKing. Kororareka being the maori name for her new home port of Russell. 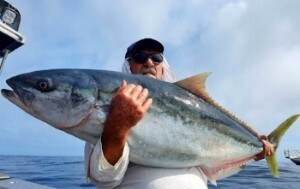 Capt Kit is a long term resident and commercial fisherman, and he boasts several records and photos on the walls of the local swordfish fishing club. Read more about Kit here. Kia ora guys, being the latest addition to the fleet, I’m rapt to part of the Epic team and emulating the standards set by my fellow skippers. The last month we have been dogged by the wet and windy La Ninja weather patterns, but things are improving rapidly. I look forward to getting out again into my backyard, the beautiful Bay and surrounding area, and catching some awesome fish with our guests. Catch up in my next report.